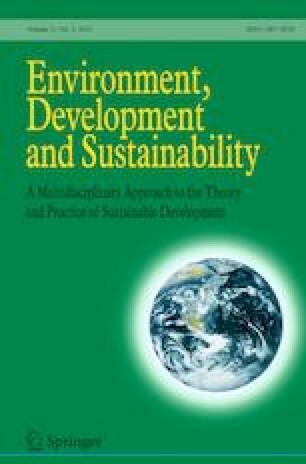 In this study, the levels of polycyclic aromatic hydrocarbons (PAHs) were determined in various components in the Meric-Ergene River Basin which is one of Turkey’s intensive industrialization centers and which accordingly has faced significant environmental pollution and has about 1300 industrial plants within its boundaries. In the river basin, 16 USEPA PAHs were measured in a total of 192 samples consisting of soil, lichen, pine needle and total deposition samples for 1 year to represent the four seasons at a total of 12 points in 4 different regions which were determined as intensive industrial area, industrial + residential area, agricultural area and background. According to the results obtained, the total PAH values, in all sampling points, varied between 69.6 and 1277.7 ng/g (dry wt) for soil, lichen and pine needle samples and between 0 and 937.8 ng/m2-day for the total deposition samples. The highest values were determined in the fall season for the lichen samples and industrial area. The data obtained were evaluated in terms of spatial and seasonal variations, and according to their molecular weights. The incremental lifetime cancer risks (ILCRs) of exposing to soil PAHs were calculated, and maximum ILCR values were observed in industrial areas for child and adults. The diagnostic ratios were performed for determining the source, and the comparison of bioindication features was made for lichen and pine needle samples by comparing with Koa and Kow values of PAHs. The online version of this article ( https://doi.org/10.1007/s10668-019-00350-3) contains supplementary material, which is available to authorized users. This study was supported by TUBITAK (Scientific and Technological Research Council of Turkey) under Grant Project No. 112Y070.